« Hot off the press: August Ecotone! Only 24 hrs left to have your say! Make a submission using the form below. Submissions Close 5 pm Friday 25th August. It’s no secret that the Great Barrier Reef is one of the great wonders of our natural world, worthy of our very best endeavours to protect it. It is also no secret that our reef is under enormous pressure following two consecutive years of bleaching. 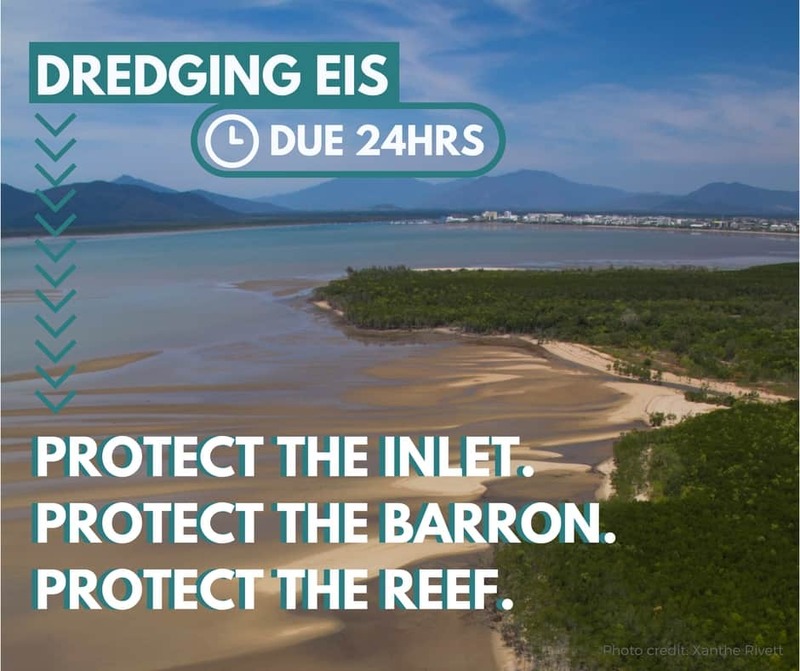 The cumulative impact of new capital dredging projects proposed along the Queensland coast threatens our already vulnerable reef. So much so the Queensland Government have banned it in most places – including Cairns. Right now, there is a proposal on the table to expand Cairns Port by dredging 1,000,000 m3 from the Trinity Inlet. The Queensland government need to hear from the Cairns community who see this project as a lot of risk for little reward. Together, we can protect what makes Cairns a unique destination. Will you help protect the Trinity Inlet, the Barron River and the Great Barrier Reef from this large, unnecessary and risky project? Make a submission using form below.